Southeast Asia has quiet a few amazing gems. 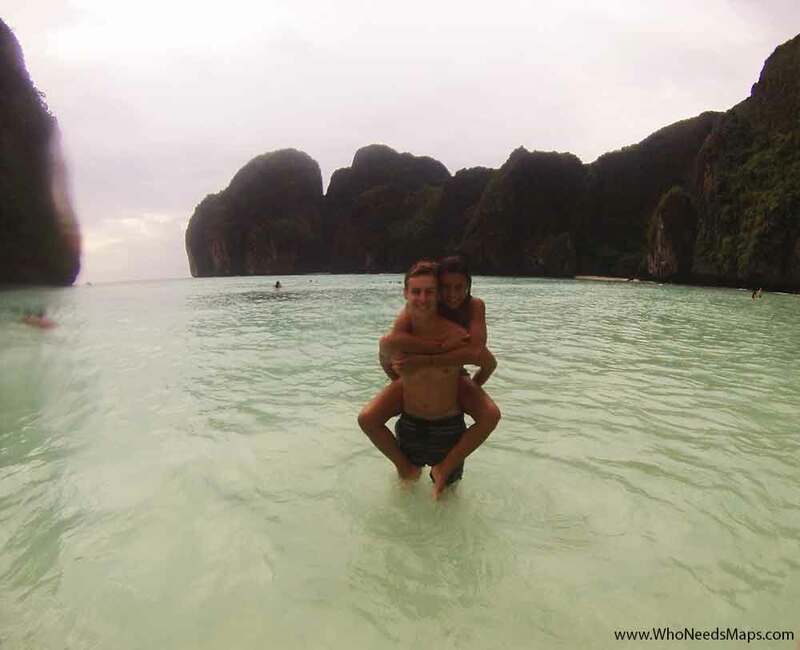 After traveling to 8 Southeast Asian countries, we have had the hard and difficult job to choose our favorite and best beaches of Southeast Asia :). There is nothing like the beaches in Southeast Asia- the waters are a blue you probably had no idea existed, the sand is so white, and the beaches are like those cliche island paradise. You can’t get any better than this. These beaches are just a little taste to what heaven would be like. Obviously, we haven’t been to every single one but we do recommend you take a few days off of life and travel to some of these! 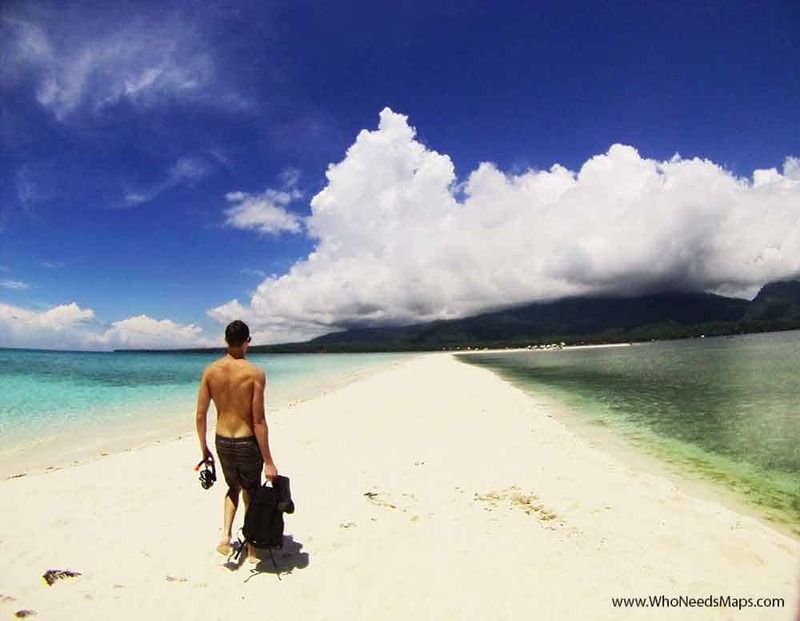 White Beach is a tiny crescent shape shaped sand bank a short Bangka (Philippine boats) ride away. It costs 450 Pesos for a boat to and back from the island. The island had unbelievable white sand, one side with dark, mossy waters, another side that was crystal clear (perfect for snorkeling), and the view of the Volcanoes. You can rent snorkels, umbrellas, buy food and drinks—but it is best to bring your own to avoid tourist prices. The best time to go is during sunset, it is not too hot and obviously, you can’t get a better sunset! White beach was definitely one of the best beaches in Southeast Asia. The whole island of Koh Rong is 43 km and majority of it is beach. Beautiful, long stretches of cliché island paradise-white sand and turquoise waters. Koh Rong is limited in development so the beaches are super quiet and not too popular. To get to Long Beach, you have to hike in the jungle straight through island for about 45 minutes. It was a really cool hike, with a bit of bouldering, but nonetheless, really good fun! You could take a boat, but it costs money and you would miss out on the awesome work out from the hike! Also, BEWARE, the sandflies are brutal! Don’t take this lightly. Cover up in sunscreen and coconut oil to avoid the sandfly massacre. We learned the hard way. Get lots of coconut oil…. 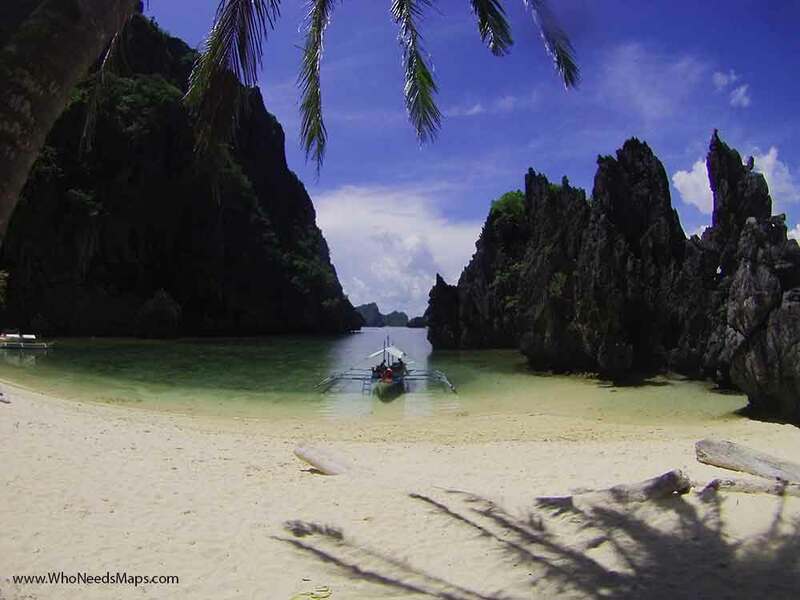 El Nido is one of the 7,100 islands of the Philippines, located in Palawan. Although the beaches of El Nido, weren’t the cleanest, the water was like glass. We kayaked out to the other islands like Helicopter Island, 7 Commando Beach, and the Secret Lagoon. These beaches were amazing, mainly because we were the only ones there (except for 7 Commandos, that was a party beach where they have a bar and throw Full Moon Parties on the Saturday)! Maya Island is the famous beach from “The Beach” with Leo DiCaprio. It is off the coast of the Phi Phi Islands and it is only a short boat ride away, which most tours take you to anyways (well worth the snorkel trip!). It is sheltered by beautiful limestone mountains and the water is crystal clear with little tiny fish. Unfortunately, we went during a downpour of rain, so it was a bit cold and rainy out so disregard the gloomy pic. But it was still an incredible beach and one of out favorites in Thailand. So imagine it if the sun was out! LEO, WHERE YOU AT? 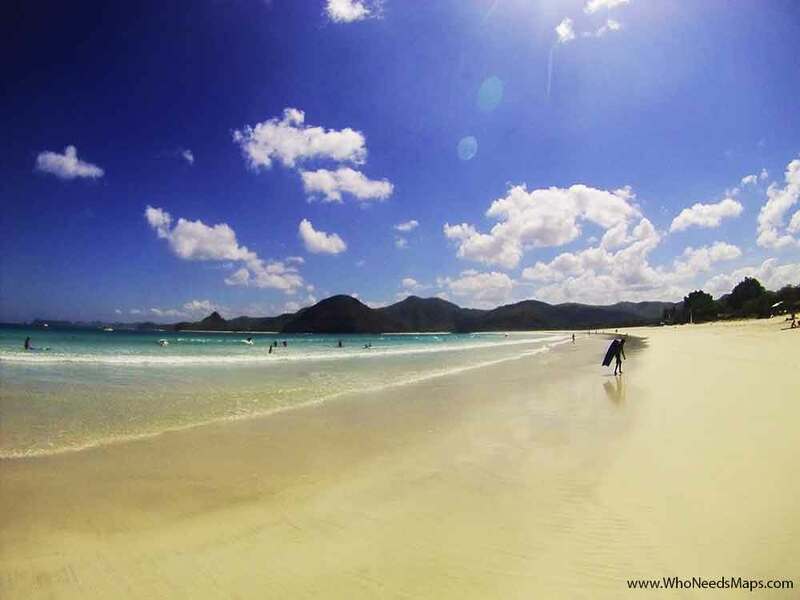 Kuta, Lombok is a surfers dream. There are tons of little beaches and coves to go surfing or even to just relax on the beach. 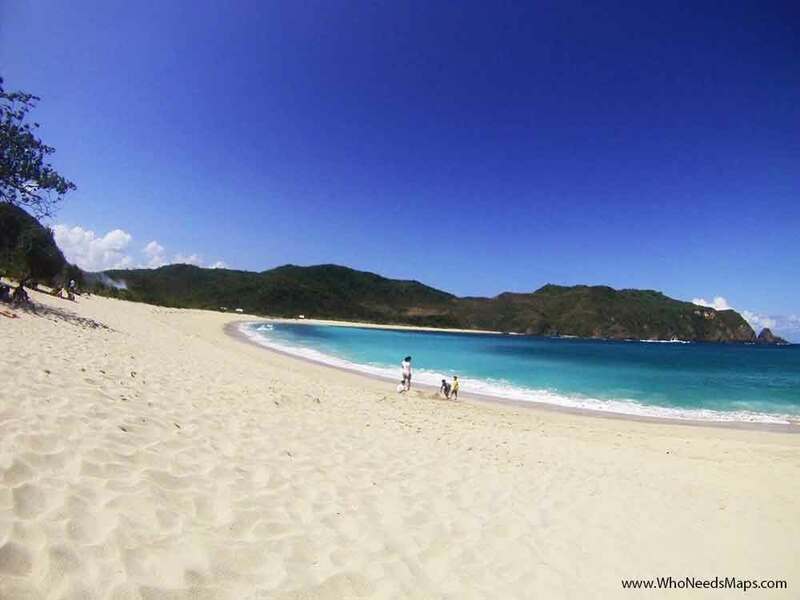 Selong Belanak is only a 30 minute motorbike ride away Kuta (Kuta, Lombok is NOT Kuta, Bali). It is, like every other beach on this list, pristine white sands and beautiful blue waters, except that this beach has WAVES! Or at least beginner surfing waves. This is where we learned (or where I learned) how to surf. Jack already knows and trumped everyone in the class. The best thing to do on this beach apart from learning to surf, is to drink a delicious, chilled fresh young coconut! MMM…. 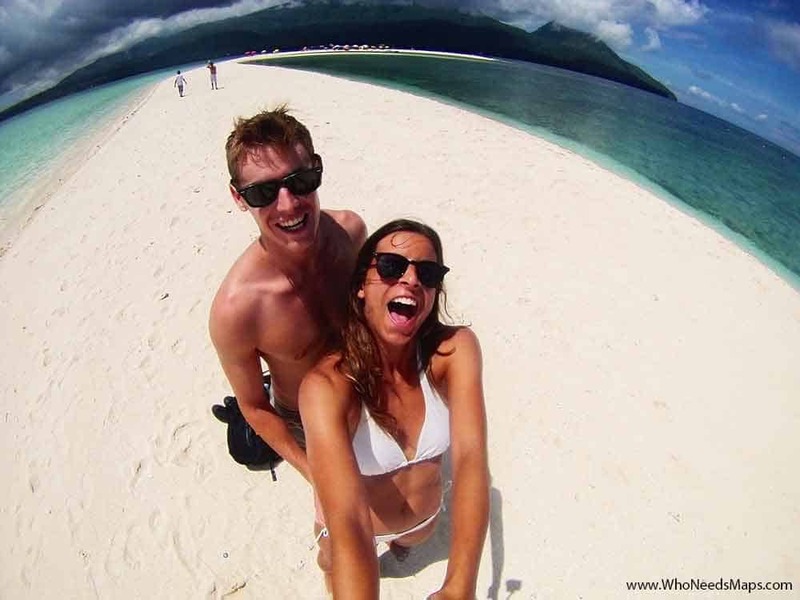 There are 3 little islands a boat ride away from Bali, Gili T, Gili Meno, and Gili Air. Our favorites were Gili T and Gili Air. They both offered astonishing beaches yet very different vibes. Gili T was the party island and Gili Air was much more relaxing. The islands are so tiny, you can walk around its entirety! You can find a spot amongst the music and crowds or your very own secluded section. The Gili’s both had the paradise beaches with soft sands and crystal clear waters, awesome snorkeling, and delicious restaurants. 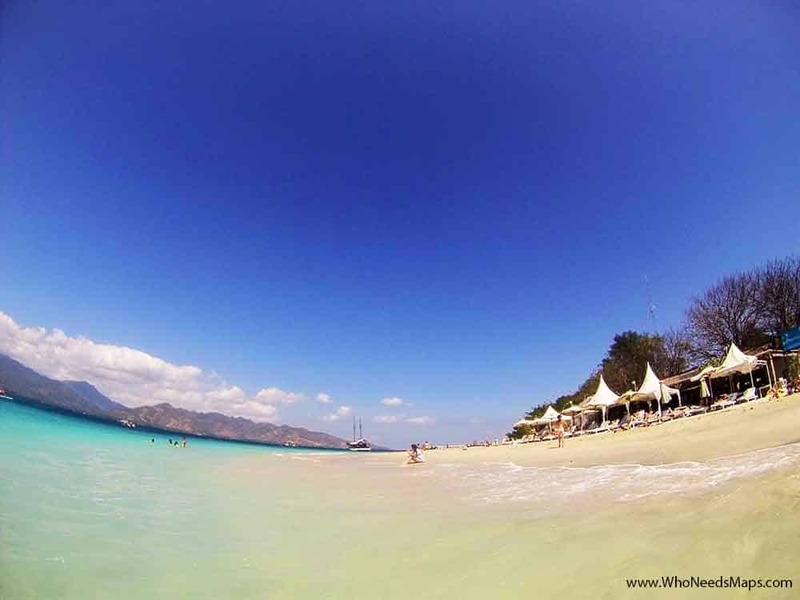 The Gili’s were definitely something special and some of the most relaxing and best beaches in Southeast Asia. We hope you enjoyed our list of the best beaches in Southeast Asia! Did we miss anything? Please let us know! 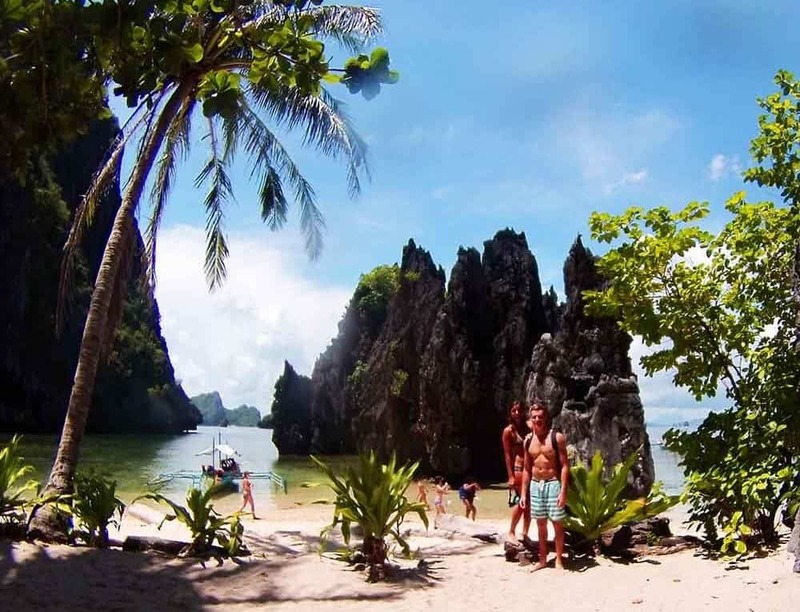 Which is your favorite beach in Southeast Asia!? Based on your pics, I would go for White Beach! My favourite beaches aren’t in South East Asia, but off the coast of Nicaragua, there’s a little island called Little Corn, absolutely stunning! Nicaragua sounds like a very interesting place, we might have to add it to our future travels list! But White Beach was definitely one of the better beaches for sure! It was so cool to see the two different colors of water! *some beaches look a bit dim and dull due to the weather, but nonetheless, the beaches in Asia were something special! Wow, those beaches look amazing! We haven’t had a chance to visit the beaches of Southeast Asia so far but it is definitely something we want to do shortly. It is definitely part of the charm SEASIA has to offer! We heard the beaches in South America are really really something special, so that is next for us! I wish I could be on the beach right now. All places from this post look just amazing but I think I’d go for Selong Belanak. 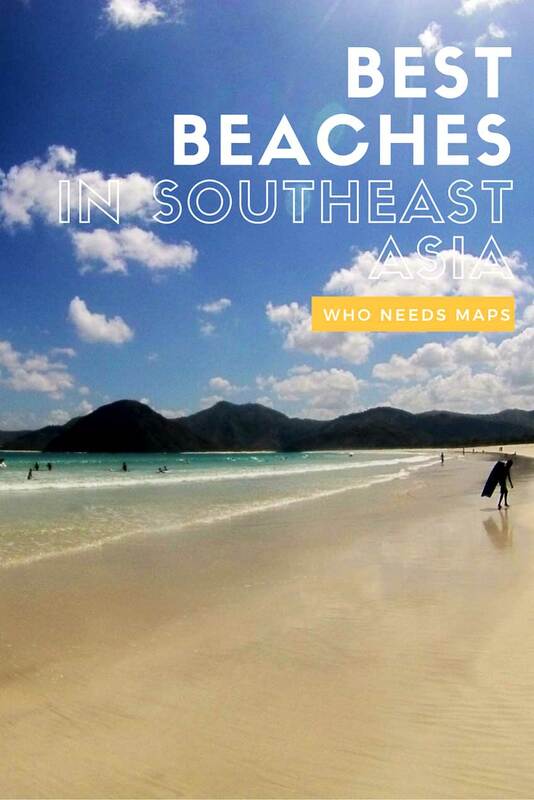 I love all beaches, especially in SE Asia…but my favorite? Hmm…little known Had Yao Beach on Koh Yao Noi, Thailand. I lived there for 4 months, and it was unbelievable. I just googled it and that beach looks so surreal! Unfortunately, as fast pace travelers we were unable to see most of Thailand. 2 weeks was not enough, but telling us there is better beaches out there just means we have to go back! Glad it helped, you will have an amazing time! These are such beautiful places! This article is definitely very useful for my future trip to Southeast Asia! Thanks for sharing! I really need to check the Gili islands soon! We havent been to Malaysia yet, but we hear that beaches are incredible!